I’m looking for an instrument for measuring the level of a used Canola oil tank, where it will need to tolerate temperatures of up to 190 degrees Celsius for a period of no more than 30 minutes. The temperature then drops down to ambient, because the oil is hot when it is transferred from the industrial fryer to the unheated tank. 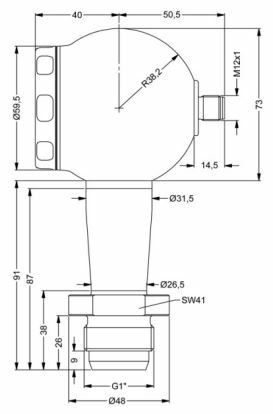 The oil level measuring instrument should be a hydrostatic type to measure the pressure of oil in the tank, comply with hygiene considerations for handling food products, and have a local indicator with a HART capable 4-20mA output. We would like a 400 mbar range which can be adjusted for different height tanks. 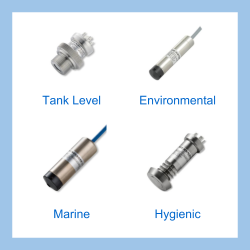 We would suggest the x|act i hygienic HART hydrostatic level sensor and indicator, which has all stainless steel 316L wetted parts and food grade oil filled isolation diaphragm for use in 3A hygienic installations. The x|act i also has a built-in LCD display readout and a HART communications compatible 4 to 20 milliamp signal output. To withstand the high temperature of used Canola oil entering the tank, the bottom flush diaphragm connection of the x|act i is isolated from the electronics housing at the top using an integrated oil filled cooling element. This cooling elements protects the electronics by transferring any excess heat to the surrounding ambient environment around the tank. Please complete form below to request a quote for Canola oil tank hygienic level sensor & indicator with high temperature protection. Send us your enquiry for Canola oil tank hygienic level sensor & indicator with high temperature protection to get assistance with this product type.